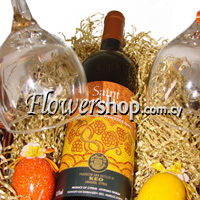 This arrangement will suit�the Easter Day Celebration because it is a hand made exclusive Easter gift basket comprised of a classical red whine in an elegant basket with whine glasses and other Easter decorative accessories. Be it for a corporate client, a business associate or just a gift from your heart to a person you love and care � they will surely treasure it! The Wine Fantasy Gift basket has it all they�ll need to taste, enjoy and savor wine - a real treasure of treats. 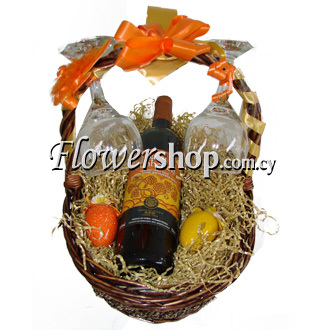 The elegant Wine Fantasy basket is created is by our expert designer team to impress and be remembered for a long time. 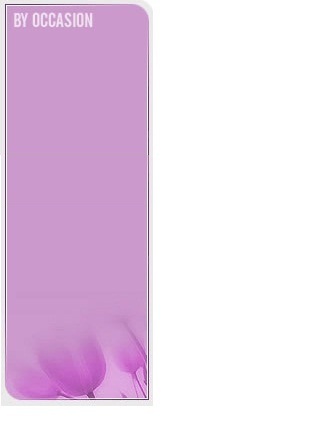 Just make the day of your loved ones in <?xml:namespace prefix = st1 ns = "urn:schemas-microsoft-com:office:smarttags" />Cyprus.